Artur Bordalo was born in 1987 in Lissabon and the interest of art was inspired by watching his grandfather, the painter Real Bordalo, working with his water colors. Gradually the art developed to a channeling of the artists worries and ecological conscience. Artur says acknowledgement is important but the main role for his art is a sort of activism to call attention to and raise awareness to the fact that humanity, with its disposable habits, is destroying the world. Bordalo´s works are built with end-of-life materials such as damaged bumpers, burnt garbage cans, tires usually found in wastelands, abandoned factories or obtained from companies going through a recycling process. – I´m really happy that were able to get Bordalo to Borås and No Limit. He creates really interesting pieces of art and his art sends a very important message about how we treat the world that we all share. Bordalo has attracted great attention to his artwork and I´m looking forward to see what he can create in Borås, says Shai Dahan, curator of No Limit Street Art. 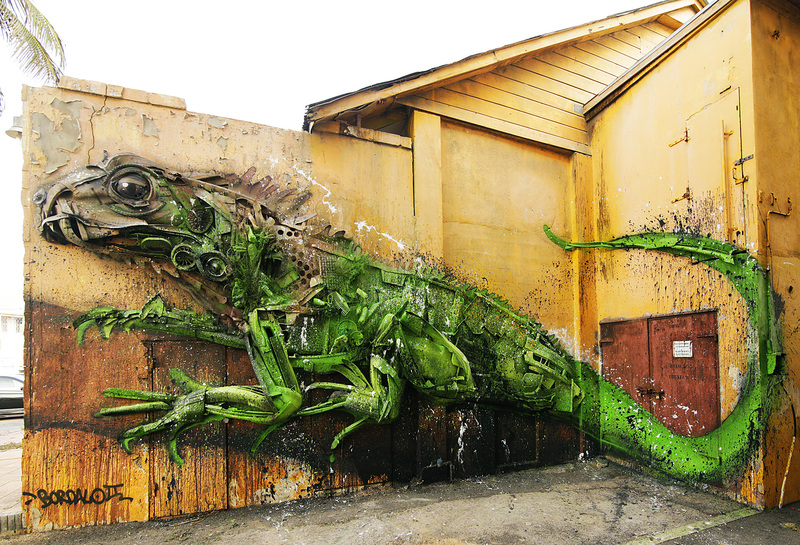 – Bordalo adds a new dimension to street art for me. Working with materials and things that normally got no value, he turns it in to beautiful and very memorable art that can be of great importance for the future. I think the piece of Bardolo in Borås will be admired and enjoyed by both young and old, says Stina Hallhagen, project manager. Artists line up will be revealed continously from now on – stay tuned for further artists and more information. Join us at a guided tour among the pieces created or still work in progress during No Limit Street Art 2017. This tour focuses at artwork from this years festival but for sure we will pass some of the creations from earlier years. Our knowledgeable guides take you for a walk through the city for approximately 1,5 h where you get information about the festival, the pieces, the artists and the street art culture. The first festival were held in 2014 and since then internationally well known street artists has been invited to participate in the transformation of Borås to a gigant outdoor gallery. Today there´s pieces in all forms, from small installations and sculptures to large scale murals covering more than 500 sqm at seven storey buildings. The tour departs from Textile Fashion Center (Skaraborgsvägen 3), lasts for about 1,5 h and comprises a walk for about 4 kilometers. The path is accessible for strollers. Tickets are available to a cost of 60 SEK/person (childrens and adolescents, under 18 years, participates free of charge) at ticketmaster.se, at Borås Tourist Center or at the starting point subject to availability. 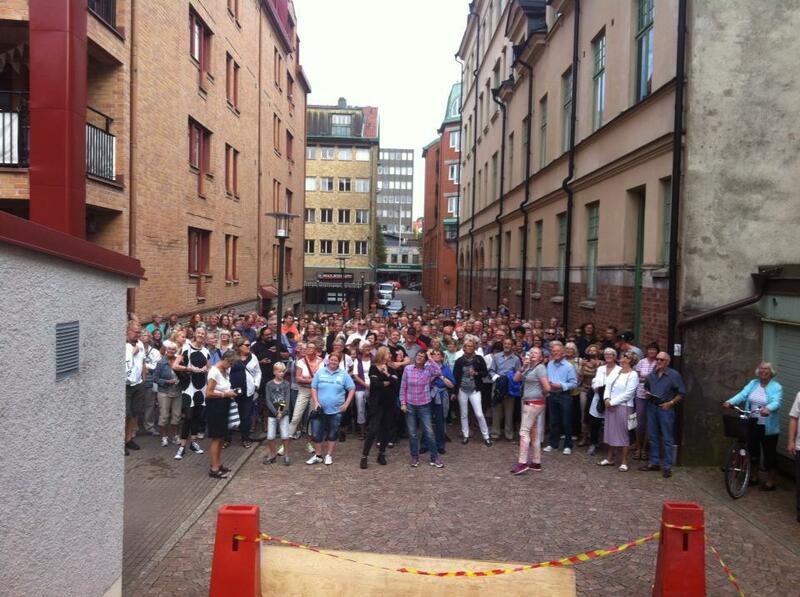 To ensure the quality of our guided tours we accept groups no larger than 40 participants in each. Therefor we kindly ask you to contact us directly, for booking of larger groups, school classes etc, tourist@boras.com, +46 33 35 70 90. We enhance the range of tours as the reservation grade gets high on the existing tours.